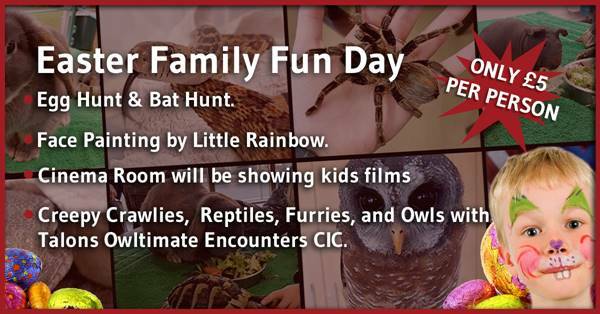 Join us for an afternoon of fun and frolics for all the family! Egg Hunt & Bat Hunt. Face Painting by Little Rainbow. Meet the Creepy Crawlies, Reptiles, Furries, and Owls with Talons Owltimate Encounters CIC. Cinema Room will be showing kids films. Gift Shop will be open until 6pm. Our Easter Menu will be served from noon in Governors Hall and the Tearoom – advance bookings recommended. Admission is £5 per person when booked online on our website in advance, or £10 charge on the day.